Creating the perfect logo for your small business can be one of the most challenging marketing tasks. After all, your logo is a visual representation of your business. It can portray what your company stands for when done correctly. These four strategies can help you craft the perfect logo for your small business. Before outlining drafts for your logo, you should first consider your business name. The name will significantly impact your choice of font, color and presentation. For starters, examine the mood of your business name. For example, if it is “Clear Water Solutions,” you may want to stick with a blue color scheme, water-related image and earthy font. These techniques will ensure that the logo design matches the business name accurately and as a result, will be more memorable to potential clients. Most companies integrate an image of some kind. This marketing strategy works because it makes the business easier to remember and distinct from competitors. However, it can backfire on you if not done correctly. The first thing to consider is the goal of your small business. You may want to create an image that portrays your products or services in a simple way. Secondly, never use clip art. These mass-produced images are widespread, which can make it difficult for your potential clients to tie back into your business. Instead, opt for a custom and unique design. Lastly, choose something timeless. Trendy logos will eventually become dated and as a result, can make your business appear out of the loop. A classic, yet memorable, logo is always the best choice. The colors of your logo do not need to be boring. However, they should not be overwhelming either. Stick with no more than three shades for the best results. These choices should complement one another and not conflict. Earth tones are a safe choice if you are unsure of what to choose. A functional logo not only looks great but is also easy to reproduce on your building, marketing materials and online platforms. It is essential to craft a clean design that isn’t too technical or artistic. Following this tip can also help you cut costs on printing and producing advertising materials. Whether you choose to hire a designer or not, these tips can help you create the right logo for your small business. Put them to the test today! Is Your Small Business Primed to Thrive Online? 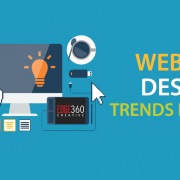 Four Signs That Your Website Needs a Redesign Is Your Small Business Primed to Thrive Online?